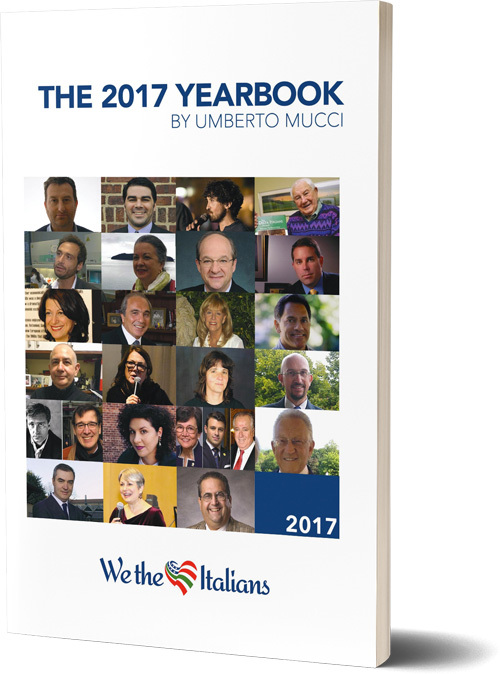 Welcome to the 2017 book of We the Italians! 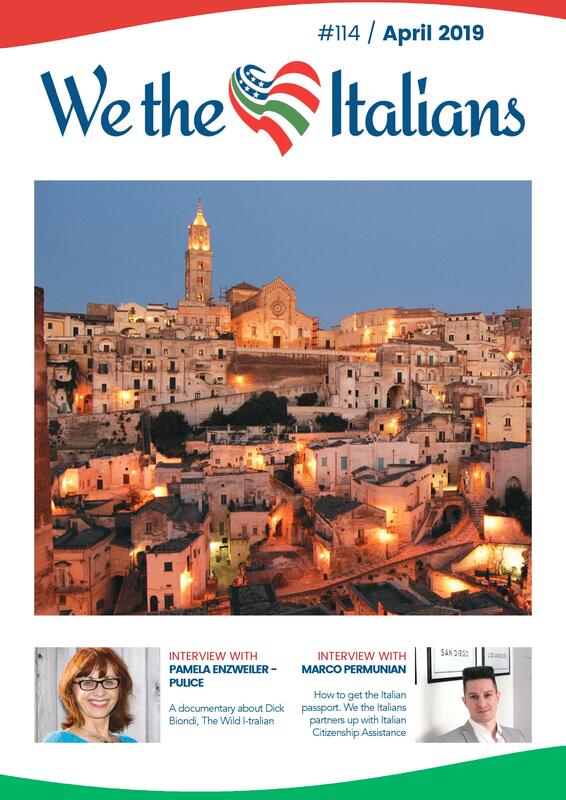 We the Italians is a network where everybody can share, promote, be informed and keep in touch with anything regarding Italy happening in the US. Our target is not only made by the Italian Americans, but by every American who like Italian people, food, art, culture, fashion, language, music, cinema, sport, business, creativity. We believe that the union between Italy and the US is really the perfect storm, and that is the reason why our name is an Italian tribute to the first three words of the American constitution. 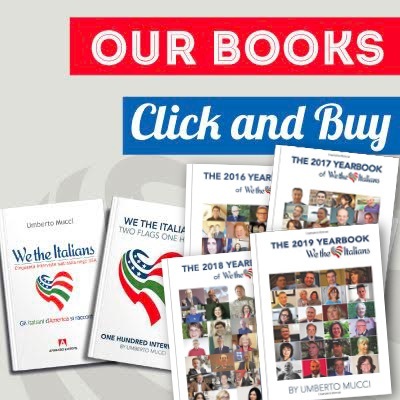 Our network is composed by a website, a magazine, a newsletter, an archive of Italian websites in the US and four books: all of them about Italy and/in the United States. In 2017 we interviewed 26 leaders, 26 friends, 26 people who gave us 26 different views about 23 different topics of the relation between Italy and the US. History, geography, science, art, emigration, fashion, sport, politics, literature, education, heritage, honor, religion, family and Christopher Columbus: in this yearbook you will find all these topics, and much more. Among our guests we've had 18 men and 8 women: we had 21 single interviews, one double interview and a triple one. 5 of our guests live in Italy, 21 in the US. All of them share the love for both Italy and the US. So you will find 23 interviews, each of them in two versions, in Italian and in English. We want to thank all the interviewees that made this possible. Also, we want to thank our readers and followers on the social media we are on. And last but not least, we want to thank all the people that work hard to build and grow this network. Benvenuti nel volume del 2017 di We the Italians! We the Italians è un ponte sull’oceano Atlantico, che lega già dal nome quanto di buono noi italiani abbiamo fatto e facciamo, con il tributo all’eccezionalità statunitense e alla frase simbolo della loro costituzione: We the People. Ogni volta che l’Italia unisce le proprie forze con l’America, il risultato è vincente. Anni di integrazione e contaminazione hanno provato che il genio italiano dotato di creatività e attitudine al lavoro duro trova uno straordinario e ineguagliabile additivo nell’ambiente meritocratico e business friendly degli Stati Uniti. Noi ci rivolgiamo a tutti coloro che sono negli Stati Uniti e amano l'Italia, e viceversa. Il nostro network è composto da un sito internet, un archivio su tutto ciò che rappresenta online l'Italia in America, un magazine, una newsletter e quattro libri: tutti i contenuti riguardano l'Italia e gli/negli Stati Uniti. Nel 2017 abbiamo intervistato 26 leaders, 26 amici, 26 persone che hanno condiviso con noi 26 differenti punti di vista su 23 temi riguardanti il rapporto tra Italia e Stati Uniti. Storia, geografia, musica, cinema, scienza, arte, emigrazione, moda, sport, politica, letteratura, istruzione, eredità culturale, onore, religione, famiglia e Cristoforo Colombo: in questo libro troverete tutti questi temi, e altri ancora. Tra i nostri ospiti ci sono 18 uomini e 8 donne: abbiamo fatto 21 interviste single, una doppia e una tripla. 5 dei nostri ospiti vivono in Italia, 21 negli Stati Uniti. Tutti hanno in comune l'amore sia per l'Italia che per gli Stati Uniti. Quindi troverete 23 interviste, ognuna di esse in due version, in Italiano e in Inglese.